On Monday night (11/13), Boys Soccer had their awards night. 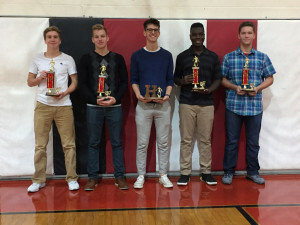 Receiving special awards (L to R): Tyler Kline (Coaches Award), Kyle Mast (Offensive MVP), John Sisson (Mr. Soccer), Jerome Watson (Defensive MVP) and Camron Keim (Coaches Award). The soccer team finished their season at District Finals with an 11-4-4 record and won their first outright Tri-County League title. On the following night (11/14), the Volleyball program had their banquet. 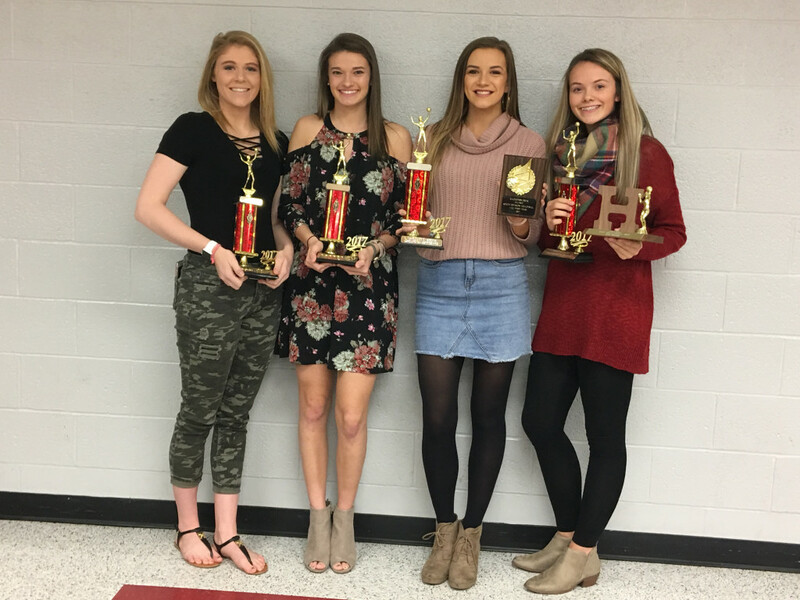 Receiving special awards (L to R): Mya Blochlinger (Offensive Play Maker), Madison Yoder (Blocking Leader), Madisynn Bryk (Hitting Leader) and Kim Miller (Most Assists and Ms. Volleyball). Volleyball finished their season at District Semi-Finals with a 20-5 record and were IVC South Division Co-Champions (10-2) with Indian Valley. Congratulations to both programs on great seasons!